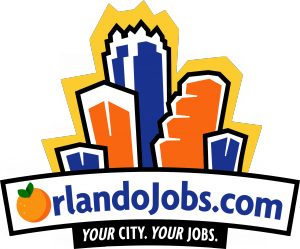 October 19, 2018 – (Orlando, FL) – This year’s job fair at the Amway Center on November 16, 2018, from 11 pm until 3 pm promises to showcase some of Central Florida’s top employers. The ten-year anniversary of The Florida Blue, Florida Classic Career Expo & Diversity Job Fair will feature over 100 employers and 6,000 open W-2 jobs. A variety of employers from over 15 sectors (both private and public) will be present. This event will feature jobs in healthcare, hospitality, education, trade skills, engineering, customer service, police, government defense industry and many more. Top notch companies participating include Amazon, UCF, Houghton Mifflin Harcourt, UPS, Hilton Grand, Orange County Government, Regions, Pearson, Home Depot, Mears Destination Service, Harris, Orlando Health and Florida Blue to name a few. Updated information about all job fair related information can be found at www.OrlandoJobs.com/jobfair. As important as the jobs, the career expo has four world-class career speakers who can help you tackle the job search world. Lisa Maile’s session, “Power Interviewing: Present the Strongest, Most Marketable YOU” is so powerful it will make you realize that your appearance, nonverbal communication, and soft skills when perfected may be more important than many of the skills needed for the job. All sessions take place for FREE at the Amway Center. “The career speakers are powerful and extremely important.”, said Lear states. “Getting a great job, not just any job is the key, and if you find out you are struggling in your job search, our experts will 100% absolutely help you and give you real solutions to hiring issues”. to the public and job seekers are urged to sign up today. Free parking at the GEICO Garage sponsored by Hilton Grand and free professional headshots by Mindy Kerr Photography. All job fair information for employers and job seekers can be found at www.OrlandoJobs.com/JobFair. Previous Previous post: Beter Decisions. Better Thinking. Better Outcomes. How to Go from Mind Full to Mindful Leadership.